Manufacturer of Low Voltage and Medium Voltage fuses. 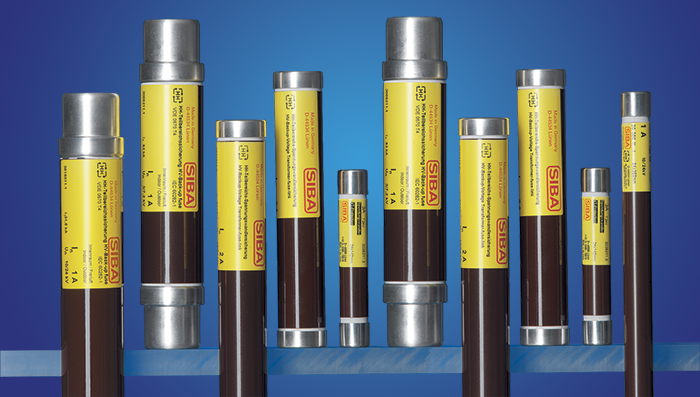 With over 75 years experience, SIBA is the industry leader in semiconductor fuses (AC and DC), medium and high voltage fuses for capacitor, transformer and motor protection. SIBA devotes themselves ONLY to their specific core business of fuses. You can be sure that SIBA fuses will work when needed. This entry was posted in Fuse, post-format-gallery and tagged Capacitor fuse, DC fuse, GS, HH, High-voltage fuses, Low-voltage fuses, Miniature fuses, MV Motor fuse, MV Transformer fuse, NH, Ultra-rapid fuses, UR. Bookmark the permalink.